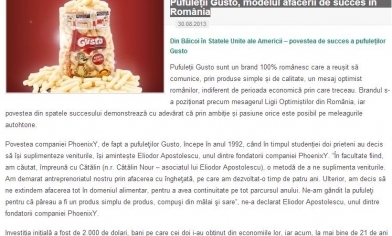 GUSTO with the chips are present in the Romanian press. Every month we have an article in a newspaper, magazine, or online publication. We are talking about the quality of our products, the special ingredients, the simplicity of the product and, of course, our optimism. 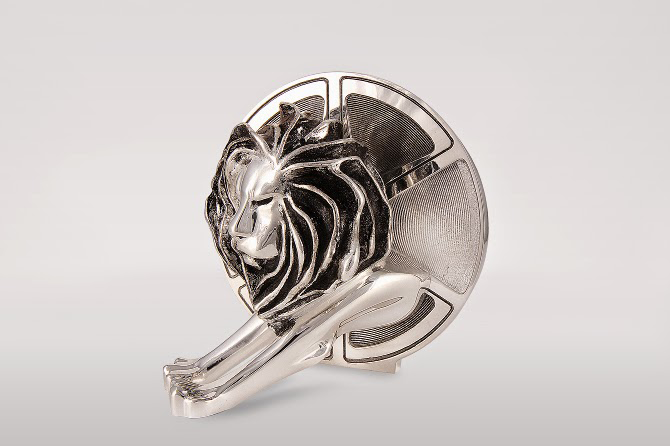 Journalists and our consumers are interested in our story of success of our products. Together with them, we celebrate the company’s anniversaries, launch new products, share opinions about the market trend of pufflets or the country’s economy from the perspective of our business, etc. Holiday, Gusto Sweets Have Super Gifts for Super Kids! Bucharest, December 13, 2012 – Anticipating holiday fun, Gusto Pufuleti have discovered what are the favorite toys of the children and they have begun a super promotion. Bucharest, May 31 – This year, Phoenix, the largest puffle maker in Romania, and Gusto Pufuleti, one of the most beloved Romanian brands, celebrate 20 years since its inception. Elena Gheorghe, the beautiful singer, was photographed in November 2013 by paparazzi Ciao! in Carrefour. We want to thank him because he likes with the chips Gusto and buy them dearly. Freedom newspaper on June 1 recommended our parents and children from all over Romania! Talented singer Elena Gheorghe has always spent the winter holidays with the whole family. Anca Serea spoiled the children with Gusto puffs! Anca Serea, the Prima TV presenter, took the kids out for a walk. The publisher bought the children a bag of their favorite puddles, Gusto, and as they strolled, they ate out of a healthy snack. Elena Gheorghe sang until morning with her friends and, of course, Gusto Pufuleti. With energy, goodwill and optimism, I have instigated all of Elena’s fans to dance and have fun until dawn. The new product Gusto Pufuleti Super Disney Supers is the natural continuation of the Pufuleti Gusto with Surprize, highly appreciated among our consumers. After more than a year of working on this beautiful project, we are happy to announce the launch of Gusto with Super Disney Surprises! In December 2012, Gusto Pufuleti with MegaSurprize organized the Puppies Vis<,promotion, and consumers across the country were given the opportunity to win one of the 200 talking dolls, dreamed of every little girl, quickly becoming the best friends of those who had them, they won. The awards were offered by lottery. In December 2012, consumers across the country took part in Gusto Pufuleti’s promotion with MegaSurprize, having the opportunity to win one of the 200 teleported cars ready for play and adventure. The awards were offered by lottery. There is no magazine in Romania where GUSTO puffs have not appeared at least once!